LEONARD WILLIAMS of The Forge, Whitchurch, Bristol. 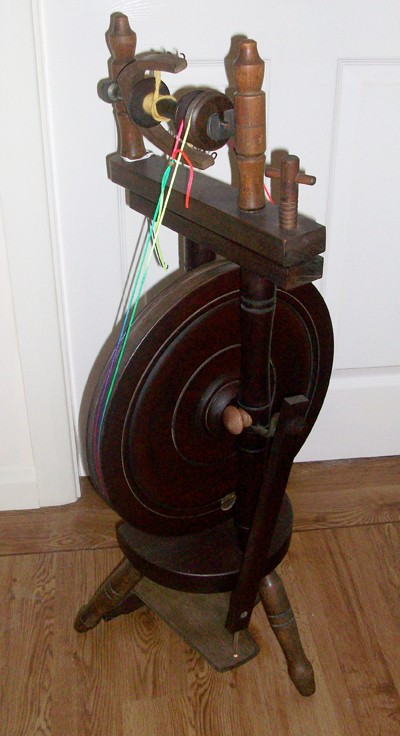 Maker of small upright spinning wheels with a solid drive wheel and some in a saxony style, possibly other styles as well (possibly during 1970s-80s, more info needed). Reports say these wheels "spin fine". 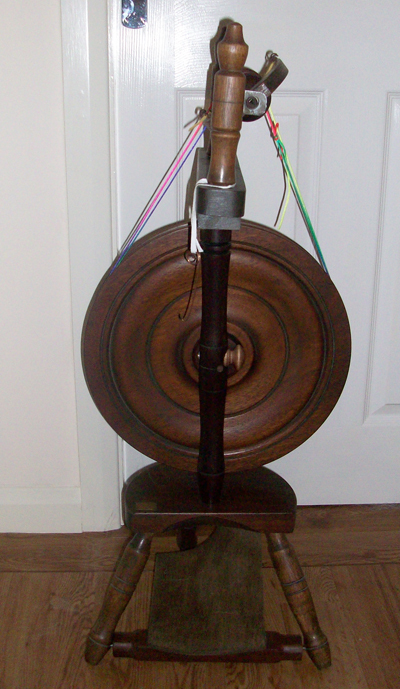 The upright wheel photographed has a small brass name plate set into the top surface of the front left corner of the table. 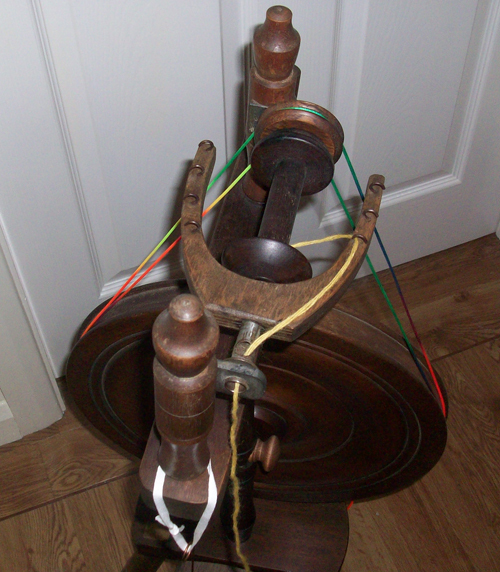 From the owner of the upright spinning wheel shown in the photo immediately below purchased her wheel in 1980 or 1981: "I bought mine direct from him at his workshop which was the garage at the side of his house facing directly out on to the A37, he used to have the doors open with wheels on display.... The incredible thing about him as a wood turner is that he only had one arm." Website copyright 2013-2017 Dorothy Lumb. Contact me via the YarnMaker website.